I’ve been meaning to try out this patisserie for a long time mainly to sample a couple of their macaron flavours which have received rave reviews. 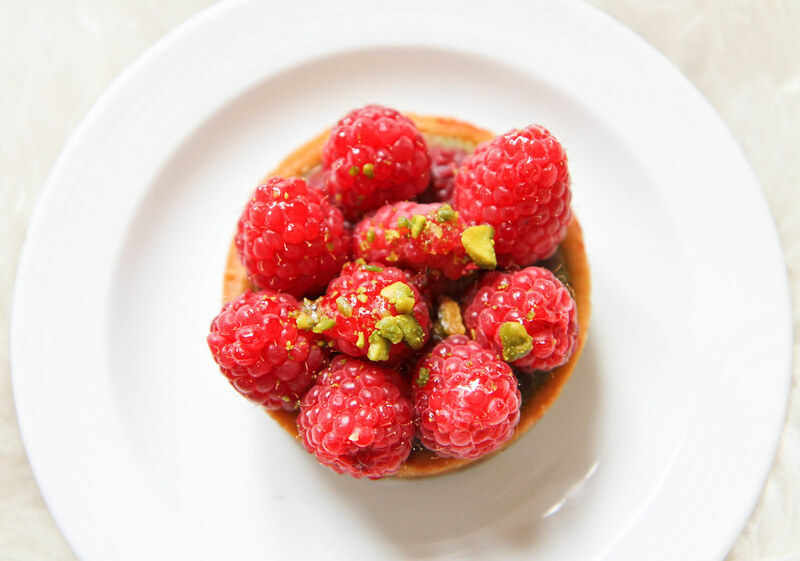 However I was out of luck; the cabinets were empty of the pistache-griotte and the caramel au beurre salé macarons, so instead I settled for this rather tasty looking raspberry and pistachio tart. It’s a combination that I’m particularly partial to and this little one was high up there among others I’ve eaten. I shall definitely be returning soon and hopefully will manage to leave with a few macarons as well next time. Miaaaam cette tarte à l’air super bonne !